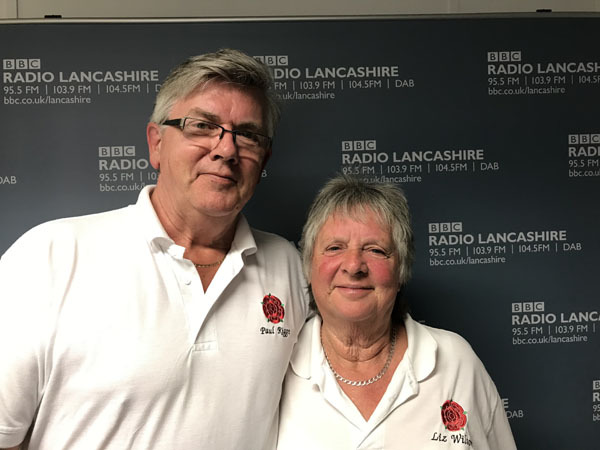 NW Federation Chair, Paul & Fylde CC Chair, Liz were interviewed by Scott Wallis on his "Talking Sport" show - a show that avoids discussing Football, Cricket, Rugby or any of the other 'mainline' pursuits and gives air-time to 'minor' less popular sports like ours. We wish to thank Scott, he treated us seriously and with sincerity allowing us to explain our passion. Fylde Falcons met up for a pre-season coaching session from Captain Betty Bates on Saturday afternoon. 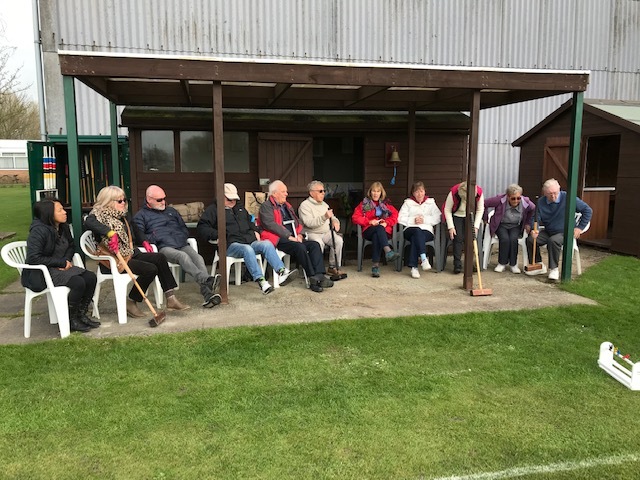 They were told about the changes to the Golf Croquet rules and then had a few practice games. Association and Golf was also being played by other members. In all over 16 members were around to share in the sunshine and refreshments. It was also good to see ex-members Brian Russell and Norman Smith who clearly haven't lost their touch! The border lines are now all clearly marked for all to see. 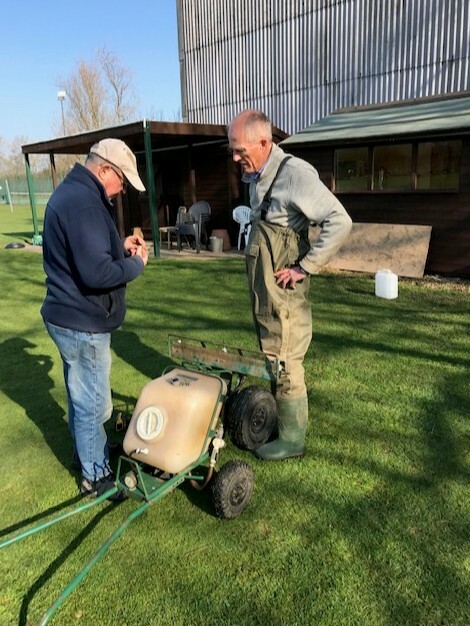 Several days lawn preparation have been lost due to the heavy rain last week. Nevertheless it seems that by 30th March they will be open and ready for play. 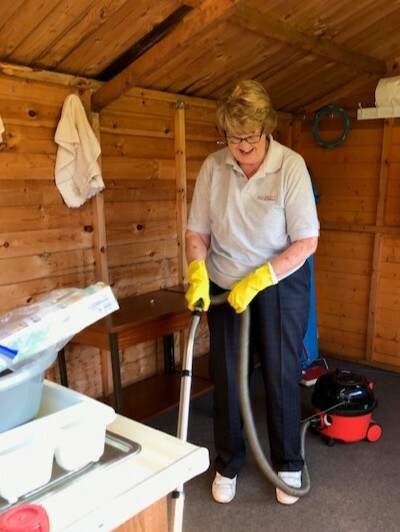 In the coming week a weeding party is being organised so please contact us if you can help. Great turn out today of the usual suspects plus 6 helpers. Fancy some mud wrestling? 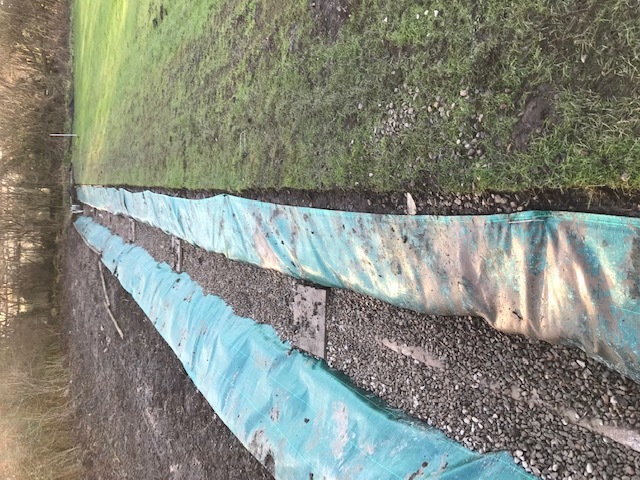 Philip has started work on the new drainage pipe laying with the paid help of Harrison Ball Great progress today as half the ditch has been filled in. Well done Philip for the work so far. 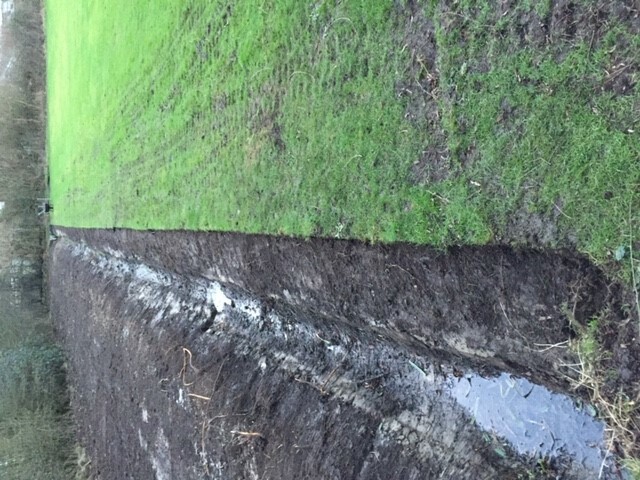 Preparations for the new and improved drainage on the East of the lawns have been completed. The next stage of laying a pipe will take place shortly. This essential work will take the club forward with reduced maintenance for many years. A British photographer (sic) has scooped a global prize with his shot of lightning over Blackpool. Stephen Cheatley's picture depicts the Lancashire seaside resort - known for its annual illuminations - lit up by a more celestial source during a storm. 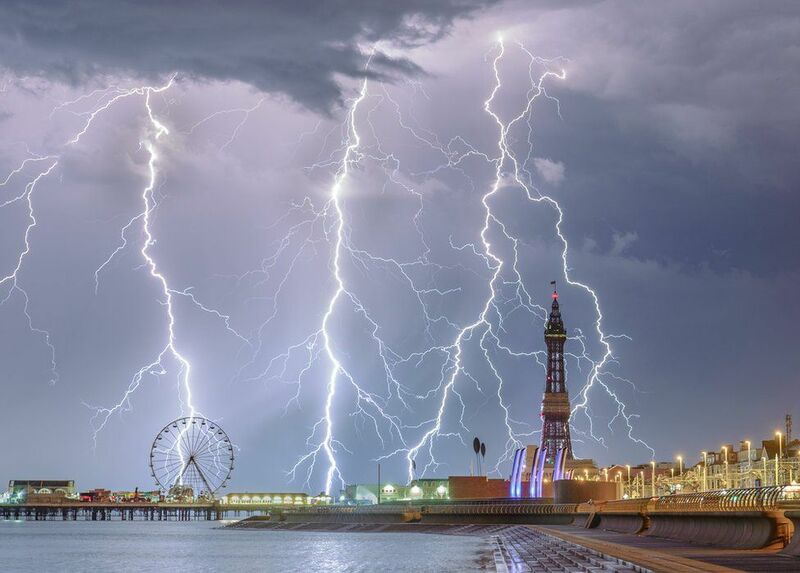 The amateur lensman beat 4,000 fellow snappers to be crowned Weather Photographer of The Year with his Electric Blackpool image. Judges said it had been "an extremely competitive year". Mr Cheatley said he set out after an "intense" summer storm a few days earlier had made him "determined to try to capture some strikes this time". His persistence was rewarded when, just after midnight, Blackpool's famous promenade was lashed by rain and multiple bolts of lighting. He said he chose the seafront location to capture some "famous buildings in the shot like the piers and Blackpool Tower". Mr Cheatley was named overall winner, while prizes were also given in the over-17s and under-16s categories.